There’s a new venue in town! 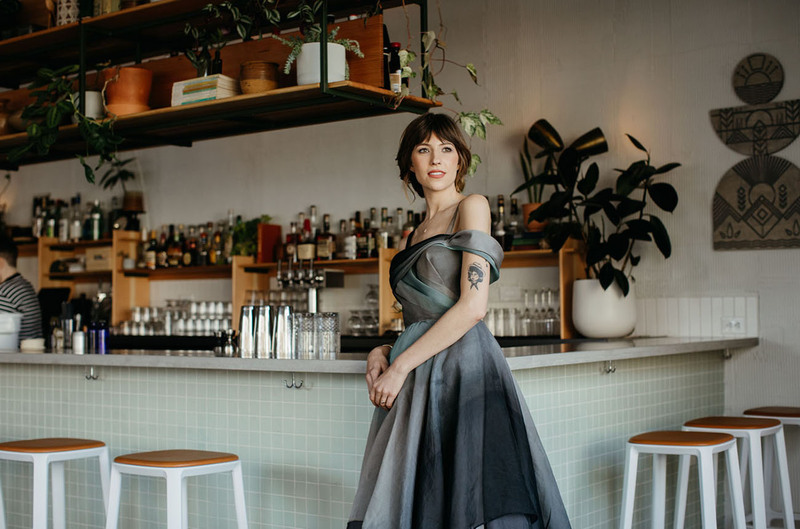 The team at Portland’s Union/Pine set their sights west for their latest venture, aptly named West! 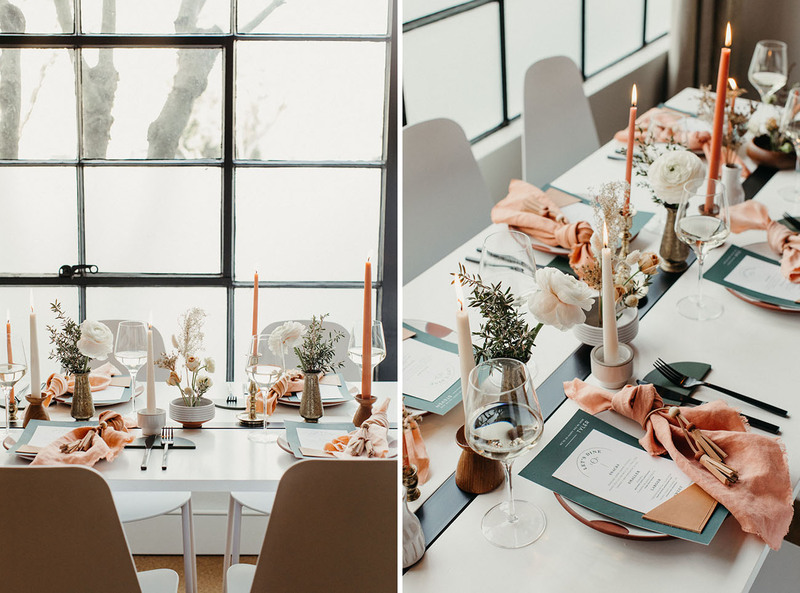 For this dreamy inspired wedding, the coordination teams manned together to create a romantic scene in the new space. 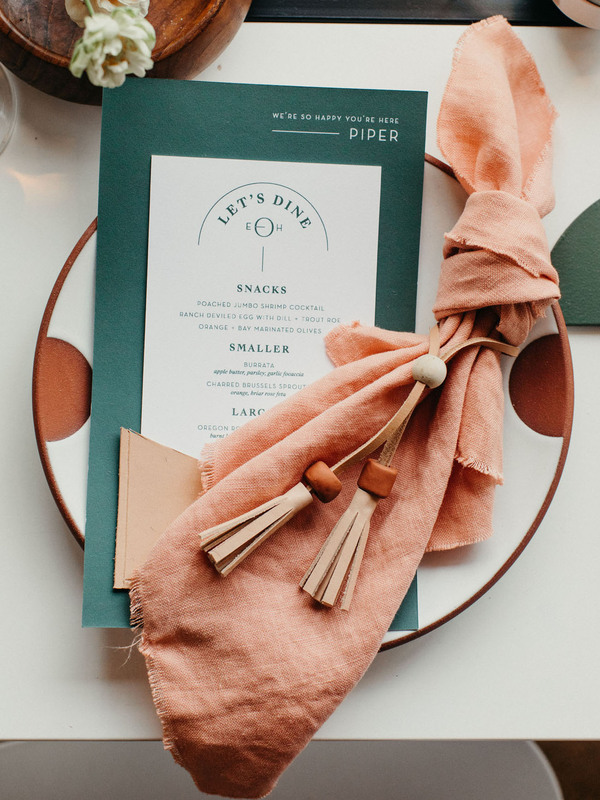 They called on the magical colors of the American West and the day unfolded with details reminiscent of the forests, desserts, and sunsets that paint the land. 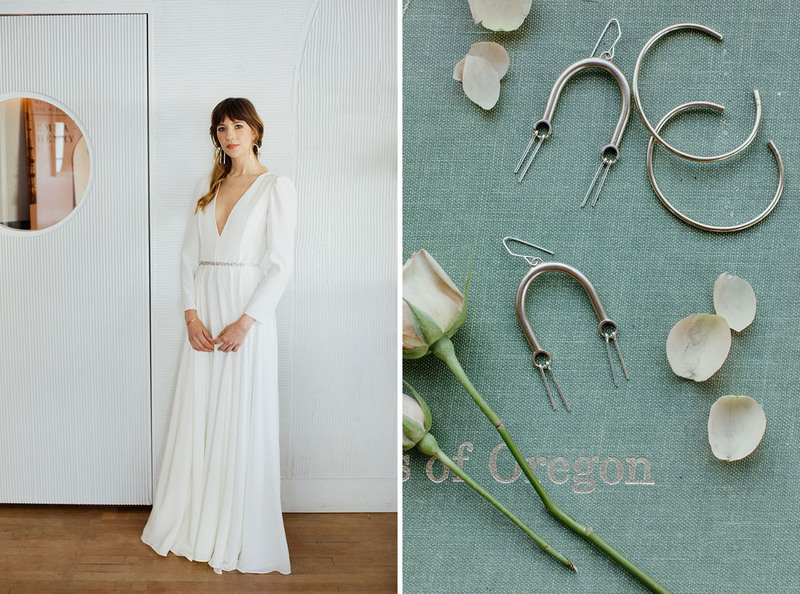 The bride took center stage in not one but three gorgeous new designs from Portland-based designer, Elizabeth Dye. (Can you choose a fave?! We hardly can!) As the team of local vendors lent their talents, the West vision came alive! 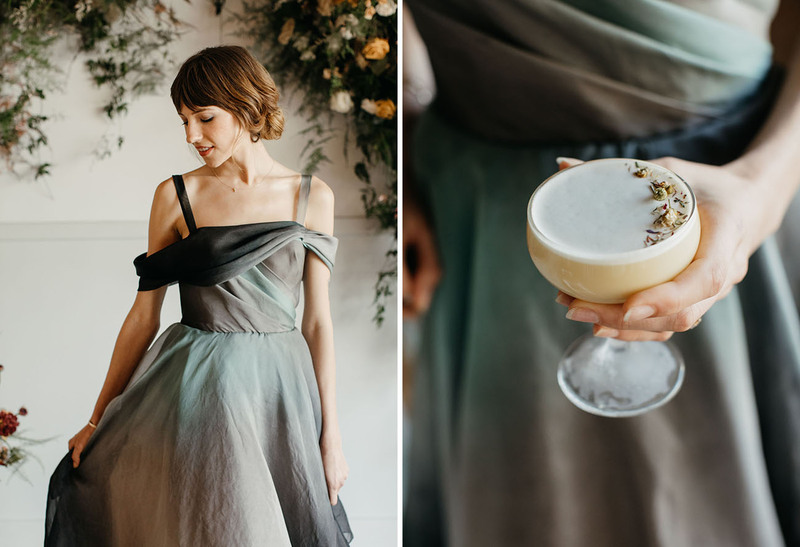 Sara Byrne captured every beautiful detail throughout the day. Let’s have a look and head West! 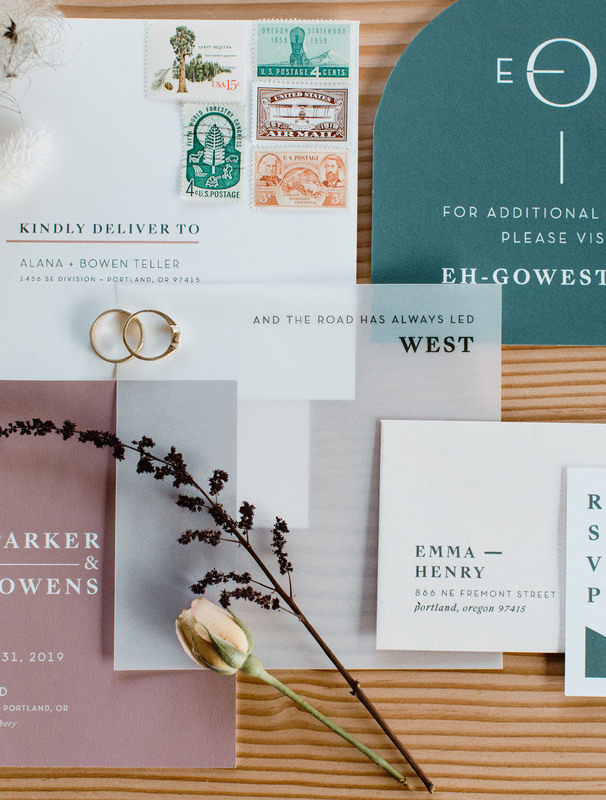 The modern invitation suite brought in the soft colors and tones for the day. 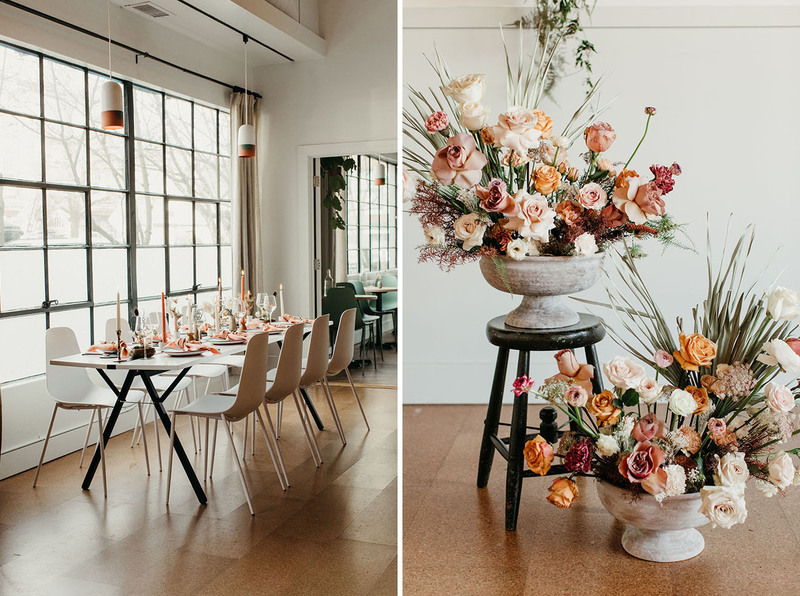 We are aaaall about this KILLER floral install from Sea of Roses! Those mustard pops are just perfect! 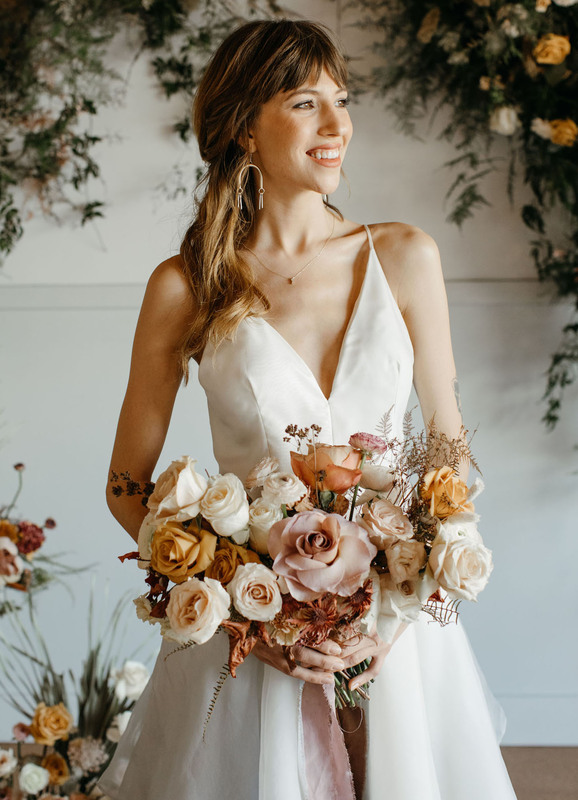 Local jewelry icon, Betsy & Iya, provided the fun + funky adornments to pair with the bride’s gorgeous gowns! 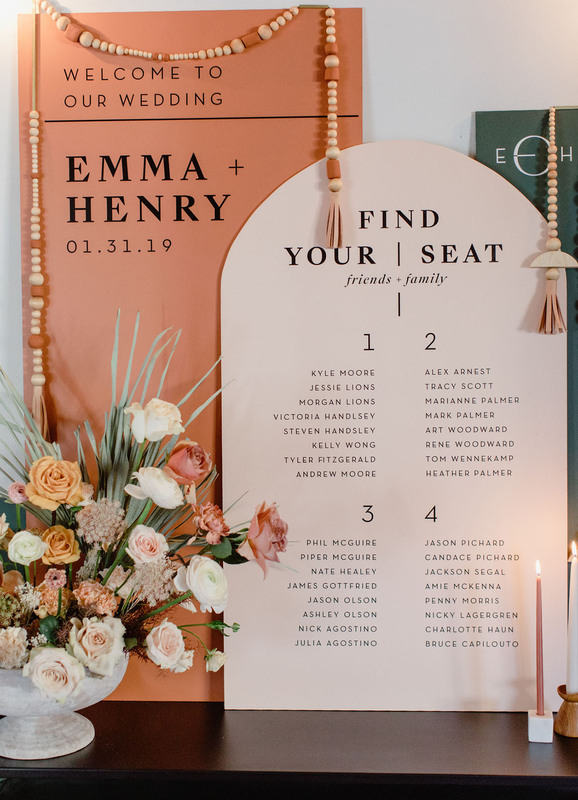 Loving this simple + modern seating chart! 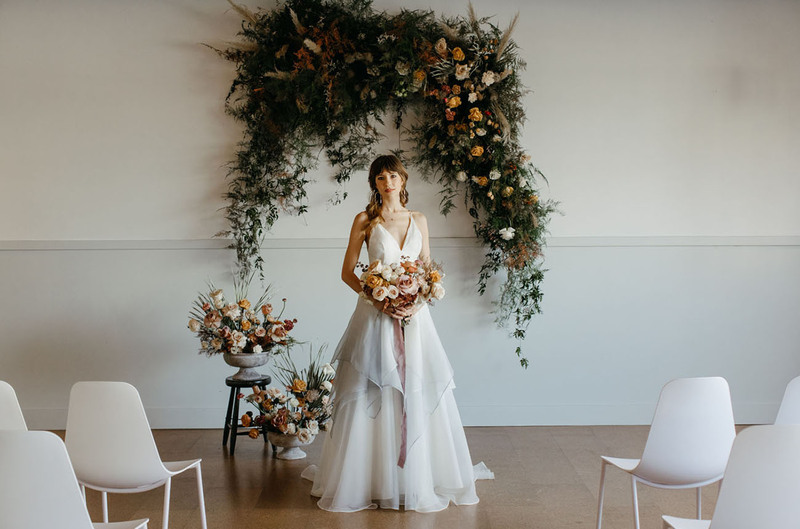 And the beaded garland from Ashwood Avenue is a fun, unexpected design touch that makes the whole vignette pop. 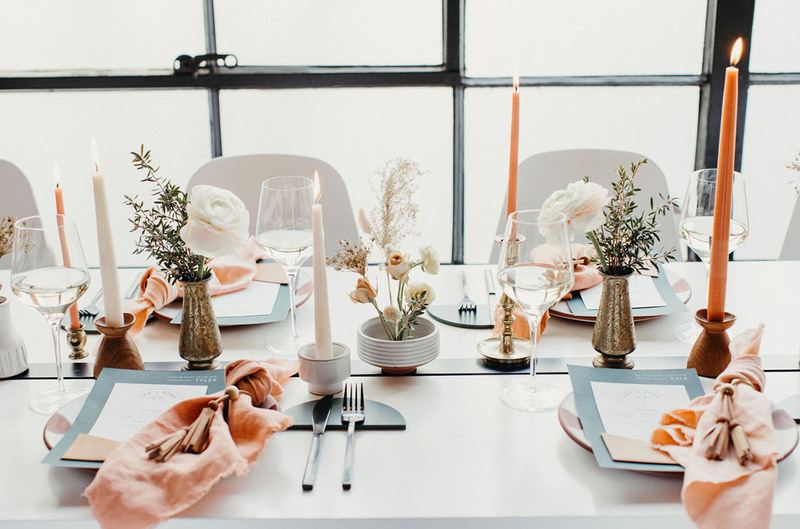 The table setting featured pieces from local ceramicist Wolf Ceramics and handcrafted menus from See Level. West is fronted by a beautiful bar which is open daily to the public! How CUTE is this design?! 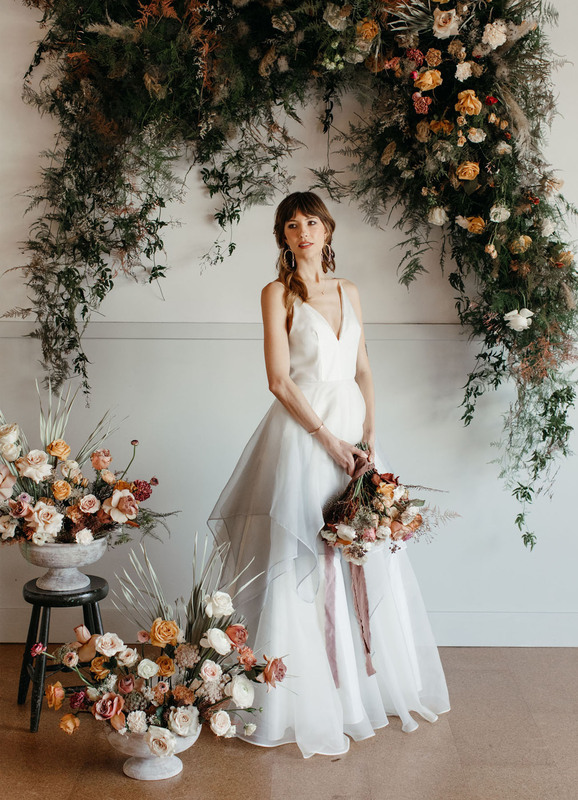 And, yes…we are simply WILD about this dress! 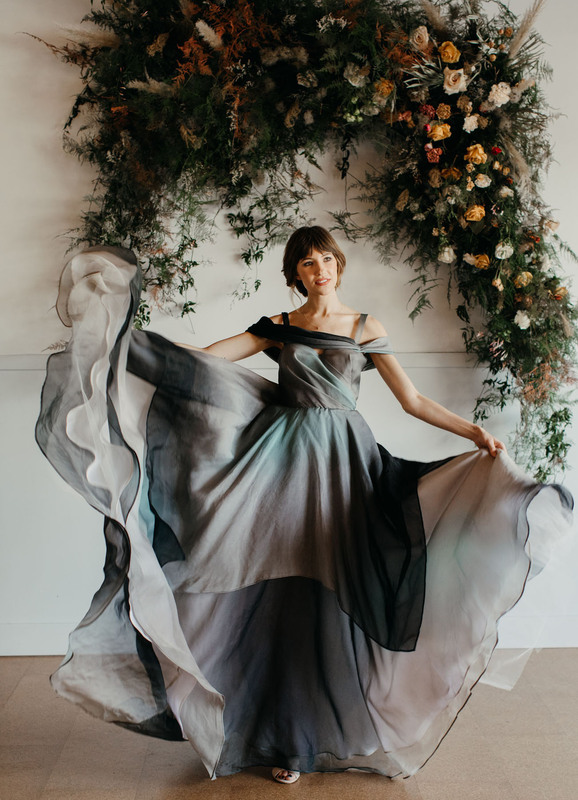 All those colors and layers—like the movement of the ocean! Total dream!! 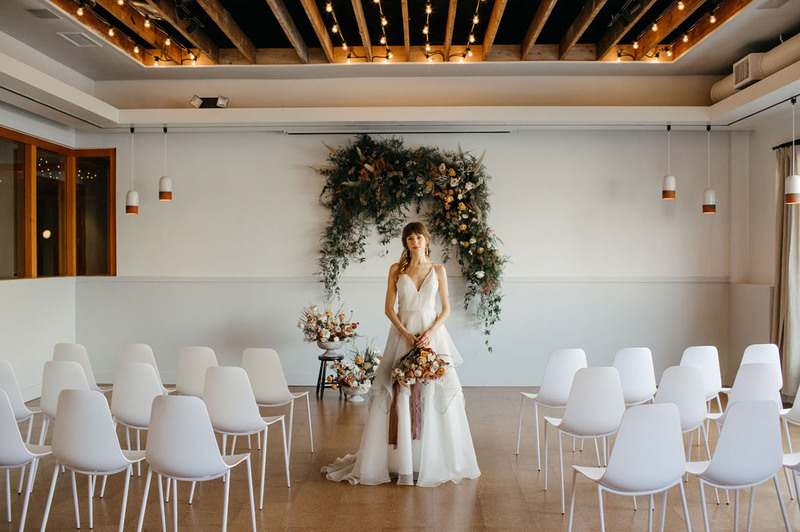 We’ve seen some beautiful weddings take place at Union/Pine (like this greenery filled winter wedding) so we can’t wait to see what couples come up with at West! 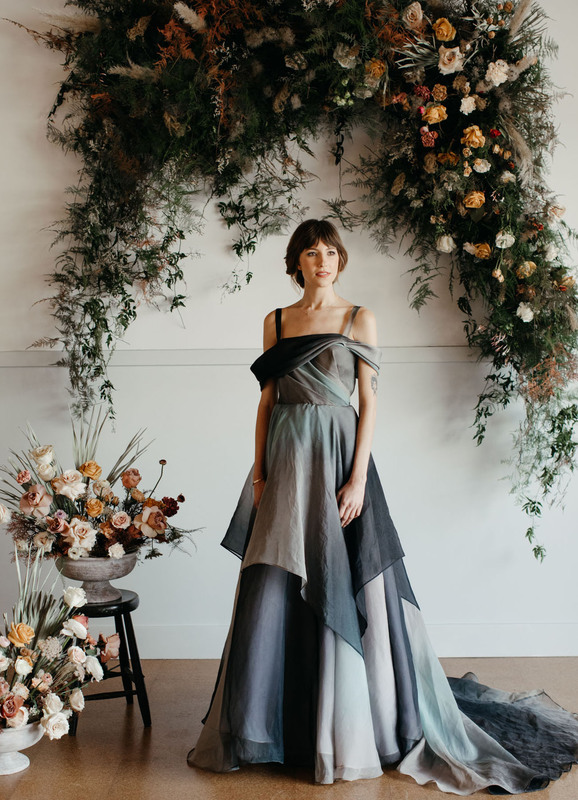 These dresses are breathtaking! Very beautiful.